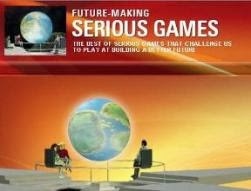 Serious Games Institute January Newsletter brings us up to date with the program for 2010, opportunities for funding and collaboration and a review of some of their activities in 2009. SGI workshop program for 2010 begins in style with leading experts discussing and demonstrating what they believe will be a very significant development area over the next few years, and one in which the SGI has been very active. The development of new interface devices for the games industry, including the Wii controller, balance board and Guitar Hero has made technology more accessible and attractive across all age groups and generations. The commercial success of these new interfaces will open up opportunities to research and develop exciting new serious games applications where these devices can be used to deliver real benefits, especially in the health and education sector. Next Wednesday at the SGI, the first workshop for 2010 will focus on the use of brainwaves to control serious games applications, including the Neurosky controller shown above, where the SGI has initiated the use of brainwave interface technologies in such areas as anger management and ADHD. The event will also include live demos of new human-computer devices. Speakers include: · Ian Glasscock (Games for Life Ltd), · Prof. Kevin Warwick (Reading University), · John Ribbins (Roll 7 Ltd) and · Prof Pamela Kato (University Medical Center, Utrecht, Holland). Join them next Wednesday for a glimpse of the future of human-computer interfaces for a workshop that will be of particular interest to professionals in the education, health and games development sectors. Browse the full list of current planned Second Wednesday events for 2010. 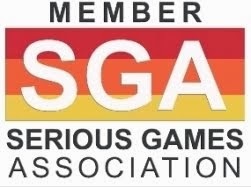 The Serious Games Institute is very proactive in seeking and developing collaborative projects involving immersive environments such as virtual worlds, serious games and social networks. Since its opening in September 2007 they have successfully collaborated with industry, university and public sector partners on a range of projects that have generated income and business development opportunities both in the UK and overseas. In 2010 they will continue to explore new avenues, especially in their core areas of interest which include Technology Enhanced Learning, Health, The Environment and Sustainable Development, Smart Spaces ( Integrating physical and virtual environments), Interface technologies, Emergency Planning and Disaster Management, Artificial Intelligence and Robotics, Virtual Commerce, Collaboration and Networking, Mobile and Wireless, and Relationship Management. All information regarding the 2010 international HASTAC/MacArthur Foundation Digital Media and Learning Competition—including detailed category explanations and guidelines, critical deadlines, application materials, etc.—is now available at https://dmlcompetition.net/. Aligned with National Lab Day as part of the White House's Educate to Innovate Initiative, the 21st Century Learning Lab Designer awards will range from $30,000-$200,000. Awards will be made for learning environments and digital media-based experiences that allow young people to grapple with social challenges through activities based on the social nature, contexts, and ideas of science, technology, engineering and math. Digital media of any type (social networks, games, virtual worlds, mobile devices or others) may be used. The Game Changers category—undertaken in cooperation with Sony Computer Entertainment of America (SCEA) and Electronic Arts (EA), Entertainment Software Association, and the Information Technology Industry Council—will award amounts ranging from $5,000-$50,000 for creative levels designed with either LittleBigPlanet™ or Spore™ Galactic Adventures that offer young people engaging game play experiences and that incorporate and leverage principles of science, technology, engineering and math for learning. 2010 sees a range of developments in SGI collaboration with partners in the UK and across the globe including Oman where the SGI is working with West Midlands based developers to support the use of immersive technologies that will both help Oman to incubate local start-up companies in immersive technologies and promote the rich cultural heritage of their country. Projects include the visualization of the UNESCO Heritage site, the Bahla Fort in partnership with The Virtual Experience Company, a Second Life data visualisation and collaboration applications in partnership with Daden Ltd and The Walk in Web, and an advanced visualisation of the new KOM 4 building on the science park in partnership with Alex Jevremovic. SGI will also be working with Alex Jevremovic on a new project to create a virtual version of the Far Gosford Street development in Coventry to be used initially for consultation and planning. SGI is collaborating with John Andrews on the development of the next generation of e-commerce applications and supporting Digital Presence in the launch and ongoing development of their Virtual Farmers Market. Internationally SGI is working with Professor Chung-Won Cho and the Seoul National University of Technology to develop a programme of events and activities to develop the use of serious games and virtual worlds for science museum and health applications. In Malaysia SGI will be working with UNIMAS in Sarawak and with SEAMEO in Penang to develop and promote the use of serious games for technology enhanced learning. In South East Europe SGI is involved in the LUDUS project and will be helping promote the development of serious games and immersive technologies in Bulgaria, Slovenia and Romania. In Italy, one of SGI most important collaborative partners is Milan based i-maginary led by Lucia Pannese with whom the SGI is working on the e-Vita project using serious games to develop inter-generational understanding of recent European history. In Canada SGI will continue to work with Manitoba to support their use and development of immersive technologies. In France SGI is working with several partners in Paris and the Valenciennes region to explore collaborative projects. In Russia SGI will once again be supporting the Moscow e-Learn Expo event in June with opportunities for UK and international partners to both present and exhibit and Russia's most prestigious learning technology event. They continue to work with UK based SHASPA Research Ltd to develop smart spaces applications that have already had commercial success in Singapore. Closer to home, SGI will continue to collaborate with the Herbert Gallery in Coventry on the use of smart spaces for museum applications.